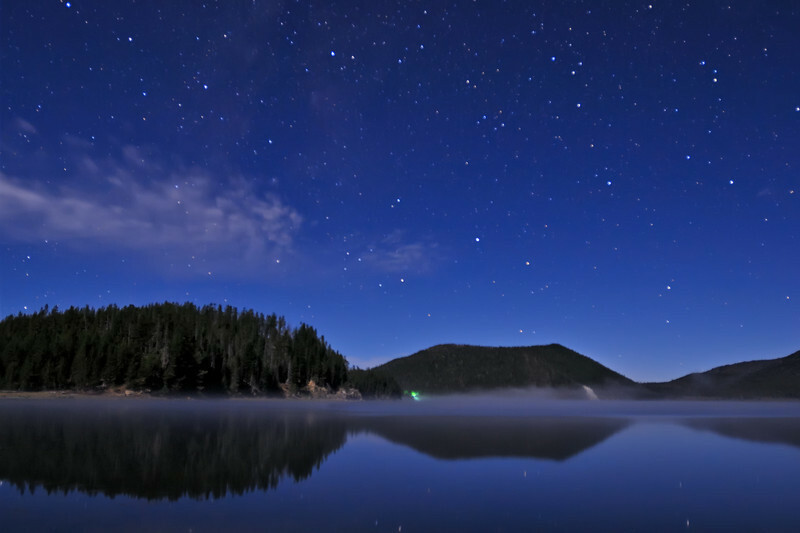 This was taken at East Lake, Newberry National Volcanic Monument. The moon was helpful in lighting up the foreground. You can see the Newberry Caldera wrapping around the edge of the lake, the hill in middle seen from above is a nice cinder cone. Newberry Volcano is an active volcano with an explosive past ( http://en.wikipedia.org/wiki/Newberry_Volcano ) .